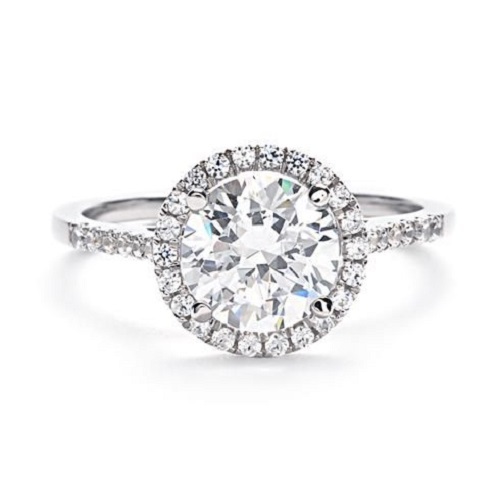 Round cut diamond engagement rings come in all types of styles, but the one thing they all have in common is, you guessed it, a round diamond. This shape is one of the most classic cuts for diamonds after oval and rectangular, with a timeless yet trendy shape that works well in a wide variety of ring designs. 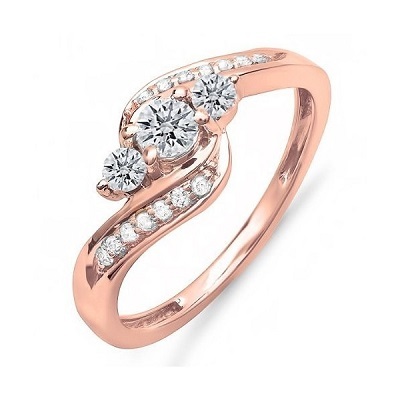 We have put together some of our favourite round cut rings to give you some inspiration on how this ring can be designed. This modern ring has a twisted pave band that is encrusted with tiny round diamonds on the outside, and roped metal on the outside. The solitaire style works very well with this ring, bringing out the large, round centre stone to perfection. For added detail, you could consider using two tone metals for the band, in rose gold and platinum or rose and white gold. The split band has the added advantage of creating an infinity sign of sorts, which further enhances the romance of this striking ring. 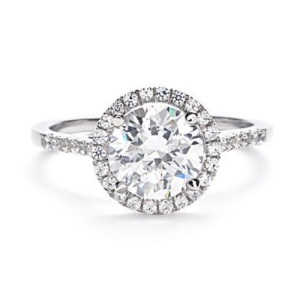 The halo style is a popular choice for round cut diamonds, featuring a large stone that is surrounded by tiny stones in a circular style. 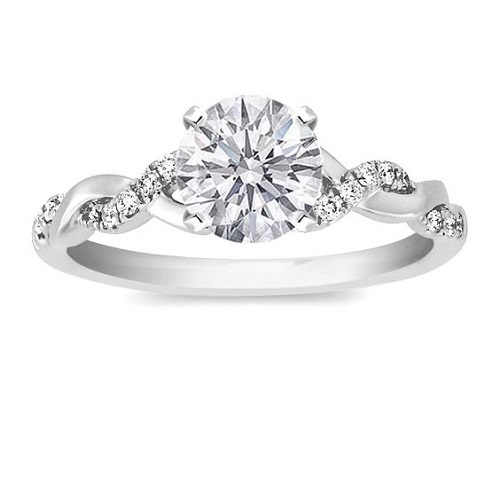 A pave band continues the look of the edging, with delicate, diamond encrusted details that make for a romantic, feminine ring. This style is classic enough to never date, but stylish enough to have a modern touch of glamour. 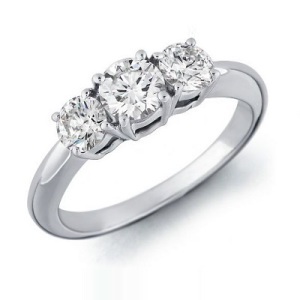 If your budget does not stretch to a large number of smaller stones, consider choosing a slightly lower carat for the small stones and a higher carat for the main stone. 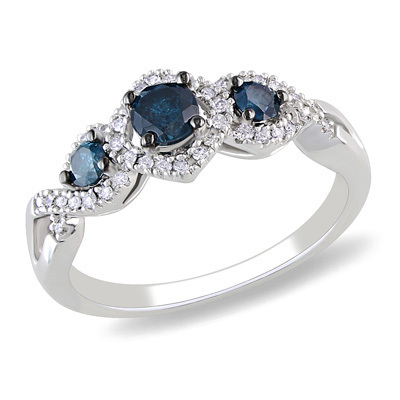 You could also consider other stones for the halo and band, such as your birth stone. In soft rose gold, this halo style ring features a trio of stones that are encrusted with smaller stones. There is a lot of symbolism in this style. 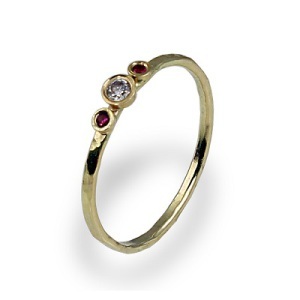 Many believe the three stones to represent the past, future and present, with the present stone being the centre. Often, this stone is slightly larger. 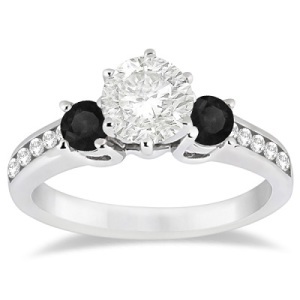 If you love deeper meanings, and are looking for something elegant and classic, this is a good choice. It looks equally lovely in other gold tones, as well as platinum. 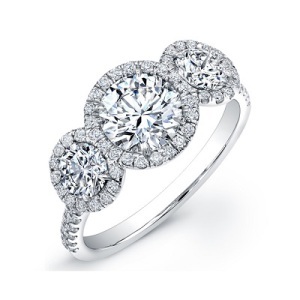 Similar to the split band ring, the twisted band features a uniquely winding band comprised of a pave encrusted part and a solid metal part. This adds plenty of detail without making the ring overly bold. It works in solid metals such as platinum, as well as two tone metals, such as rose gold and white gold. We love how the twists subtly draw attention to the round centre stone without fading into the background or overpowering the centre stone. 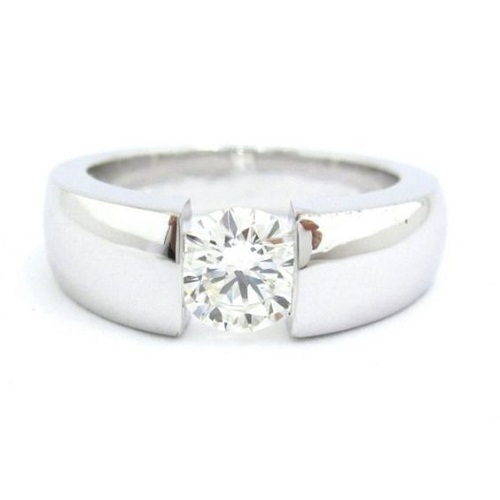 If minimal engagement rings are more your thing, this chunky, simple ring is sure to be a great choice. The thick metal band is made of gleaming platinum in this ring, but you could also consider rose gold or yellow gold. 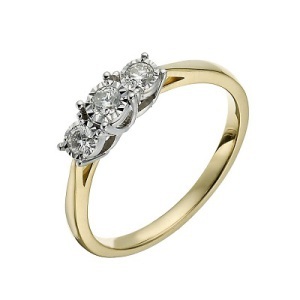 The round diamond sites in the middle, without frills and elaborate details. The ring has plenty of impact in a paired down, sleek way, making it modern enough for today’s bride but still simple enough to stand the test of time. 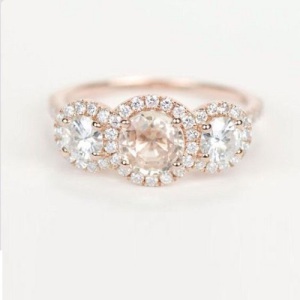 Got an idea for a dream ring? 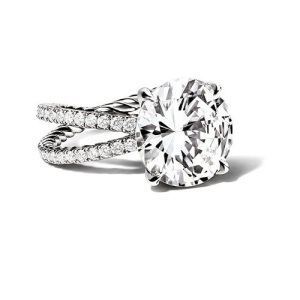 Contact Cape Diamonds today and let us know how we can turn your dream engagement ring into a mesmerising reality!